When Merton was alive, it would have been a service to say whoa! at times. He needed a Pound, to cut him to size. Short of that, we have in fact, an enormous unpruned lifelong diary of everythings: trial and error and mood and conquest and pratfalls. And now and again, the midair triple somersault cannons into our hands. In 1944, New Directions brought out Thomas Merton’s first book of verse. By the time of his tragic, untimely death in 1968, Father Louis (as he was known at the Trappist monastery where he lived for twenty-seven years) had published upwards of fifty books and pamphlets, including several more collections of poetry. All of these poems have been assembled in a single, definitive volume (first published by New Directions in 1977) which includes much additional unpublished or uncollected material drawn from the archive of the Merton Studies Center at Bellarmine College in Louisville, Kentucky, or supplied by the poet’s friends and associates. Brought together in The Collected Poems of Thomas Merton are: Early Poems (1940-42, published posthumously in 1971), Thirty Poems (1944), A Man in the Divided Sea (1946), Figures for an Apocalypse (1947), The Tear of the Blind Lions (1949), The Strange Islands (1957), Original Child Bomb (1962), Emblems of a Season of Fun (1963), Cables to Ace (1968), and The Geography of Lograire (completed in 1968 and published posthumously). These are followed by Sensation Time at the Home and Other New Poems, a book which Merton completed shortly before his death. There are also sections of uncollected poems, humorous verse, poems written in French, with some English translations, Merton’s translations of poetry from various languages, drafts and fragments, and a selection of concrete poems. 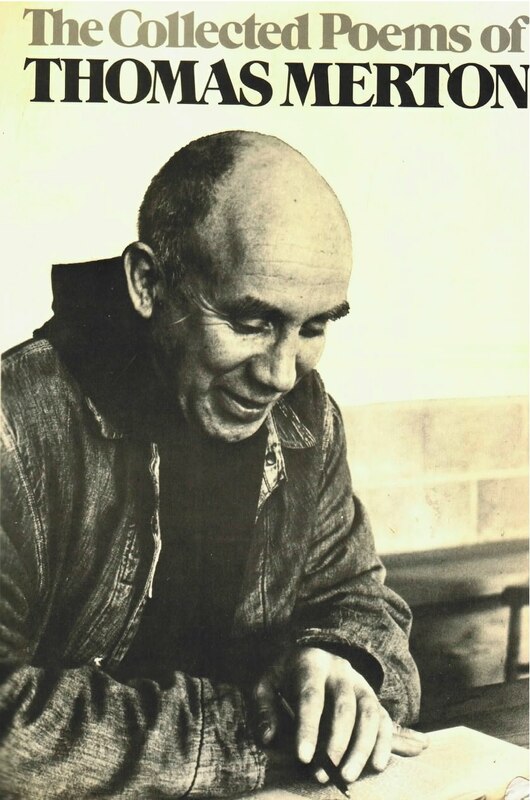 With the availability of The Collected Poems of Thomas Merton as a New Directions paperbook, an ever wider audience may more fully appreciate the impressive range of the poet’s technique, the scope of his concerns, and the humaneness of his vision.